The Chicago White Sox of the early twentieth century provided the inspiration and the subject matter for three of America’s greatest novelists. 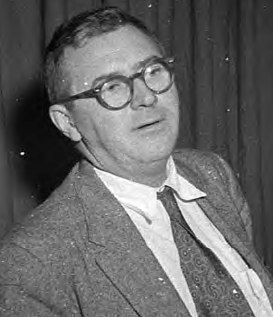 The death of Ed Walsh prompted Farrell to write about his baseball memories, such as attending the 1910 opening of the “Baseball Palace of the World.” Farrell also saw Walsh’s no-hitter on August 27, 1911, which he fictionalized in A World I Never Made. On his way to the game, Danny O’Neill walks down 35th Street and becomes uncomfortable due to the presence of African Americans (not the term he used). A dramatic account includes an outfield collision that took Tris Speaker out of action. Many years later, Farrell recounted details of the 1919 White Sox, such as “The Perfect Catcher” (Ray Schalk) and the player who was on his way to becoming the greatest third baseman ever (Buck Weaver). Eliot Asinof was amazed at how clearly Farrell remembered that team when he was encouraging Asinof to write Eight Men Out. Ralph Kiner, a friend of Farrell’s, said Jimmy became a novelist only after he realized that he could never be the second baseman for the White Sox. While playing in a game for St. Cyril’s (today known as Mt. Carmel), Farrell struck out three times with the bases loaded, just as Danny O’Neill did in fiction. Farrell’s sandlot career included playing for the son of Sox manager Pants Rowland at Armour Square Park, the field right behind White Sox Park. Schalk accompanied Farrell to interview Helen McCuddy, who owned the bar on 35th Street where Babe Ruth was known to send word to have a cold one ready because it was the ninth inning. “They Called Her Ma” is a superb portrait of the woman who was a surrogate mother to Schalk and other White Sox and a hostess to generations of White Sox fans. Farrell’s posthumous novel, Dreaming Baseball, follows the fictional Mickey Donovan, who plays on the White Sox beginning in 1918, blending with the actual Sox players and playing through the 1919 series and the subsequent decline in Sox fortunes. Donovan narrates the novel as an old man living in Florida, recalling his successful major league career. White Sox players interact with Donovan both on and off the field. Guidance from Ray Schalk and Eddie Collins helps him avoid serious trouble with his marriage as a result of carousing with Babe Ruth in 1925. Clearly Farrell got his dream of playing with the White Sox, even if only through fictional alter egos. Weaver might have thrown a game away “from spitework” because he preferred one of his friends to be the team’s leading winner. Keefe is not impressed when he sees Christy Mathewson, who makes him think it must be easy to pitch in the National League. Walter Johnson has nothing but a fastball. Lardner’s friend, White Sox Coach Kid Gleason, is always portrayed favorably. He tries to teach Keefe how to hold men on base. “I don’t think he could learn me nothing, but I promised I would go with him.” Keefe loses a 1–0 game in the tenth inning when he intentionally beans a romantic rival with the bases loaded. Like many small town boys moving to the big city, Keefe cannot get used to the high prices, complaining about fifteen-cent lunches and the hired girl who sticks him and his wife up for $8 a week. He feels that he is underpaid and threatens to jump to the Federal League, even though he has signed a contract with the White Sox. Sox owner Charles Comiskey resists Keefe’s demands of $5,000 a year, bargaining him down to an agreement to continue his present salary of $2,800, locking the rising star into a three-year contract with the customary ten-day release clause. Comiskey, whom Lardner also liked, is not portrayed as particularly cheap, but he does take advantage of the reserve clause. Lardner also became friends with Sox pitcher Doc White. In 1909 he wrote the lyrics to White’s tune “Gee! It’s a Wonderful Game,” their attempt to supplant the recent hit “Take Me Out to the Ball Game.” Lardner even wrote a poem instructing his readers on how to pronounce the name of Eddie Cicotte. “Alibi Ike,” perhaps his best known story, is set on a fictional version of the Cubs, but he was moving away from including actual players in his fiction. Lardner covered the Sox and Cubs on a daily basis until 1913, but then he took over the Tribune’s more general “In the Wake of the News” sports column. He still mentioned baseball but no longer on an everyday basis. 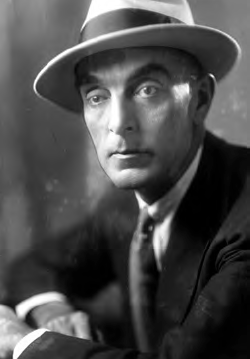 The Black Sox scandal caused Lardner to withdraw from baseball, and he rarely returned to it in his fiction. His later baseball stories, written under financial pressure, never measured up to his earlier work. Till between the waters and the wind came the marked down derelicts with the dollar signs for eyes. Algren relates how he moved from the South Side to North Troy Street, near the alien bleachers of Wrigley Field. With him, he carried his treasures: a Louisville Slugger Bat signed by Swede Risberg and a July 1920 program that proved he had attended a game at Comiskey Park. Defending his American League allegiance, he adopted the nickname “Swede” and sought to play shortstop. When the scandal broke, his Cub fan tormentors pointed to Risberg’s 0-for-4 day, which included being picked off and making a wild throw. Hadn’t he known that Risberg was losing on purpose? During the 1959 World Series, Algren wrote a newspaper piece entitled, “Go! Go! Go! Forty Years Ago,”7 reflecting on how sure the city had been that the White Sox were going to beat Cincinnati. The occasion also brought back memories of another disaster, the 1915 capsizing of the Eastland, which killed more than 800 people. And into the finest fielding third baseman in either league. 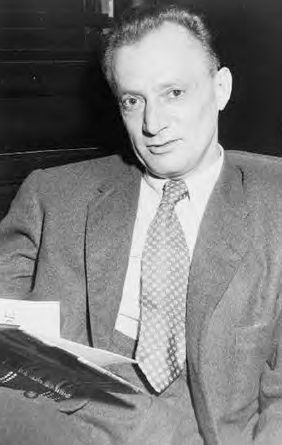 The article is preceded by a quotation from Eliot Asinof, whose version of the scandal Algren largely accepts. What matters is not any rendition of the facts, but the mythic proportions of the event. In a short story elegantly entitled “a lot you got to holler,”9 the youthful narrator tells how he had to trade an entire strip of ten baseball pictures to get one of Joe Jackson. After the scandal became public, he needed to trade the Jackson, a Buck Weaver, and two Happy Felsches to get one of Schalk, who had been on the strip he originally traded. Hemingway ranked Algren as the second greatest American writer of the century, behind only Faulkner.15 In all, the White Sox may have inspired more great American writers than any other baseball team. JAMES HAWKING, a lifelong White Sox fan, is a retired professor from Chicago State University. He is the author of "Strikeout: Baseball, Broadway and the Brotherhood," a historical novel about John Montgomery Ward. 1. Landers, Robert K., An Honest Writer: The Life and Times of James T. Farrell, San Francisco: Encounter Books, 2004. 2. Farrell, James T., A Baseball Diary, Carbondale: Southern Illinois University Press, 1998, 106. 3. Farrell, James T., Dreaming Baseball, Kent, Ohio: Kent State University Press, 2007, 287. 4. Hilton, George W. (editor), The Annotated Baseball Stories of Ring Lardner, 1914–1919, Stanford, California: Stanford University Press, 1995. 5. Yardley, Jonathan, Ring: A Biography of Ring Lardner, New York: Random House, 1977, 26. 6. Algren, Nelson, Chicago: City on the Make, Chicago: University of Chicago Press, 1987. 7. Algren, Nelson, The Last Carousel, New York: Putnam’s, 1973. 9. Algren, Nelson, Neon Wilderness, New York: Hill and Wang, 1960. 11. Landers, op cit. 421. 12. Fanning, Charles, “Introduction” to A World I Never Made, Urbana: University of Illinois, 2007. 13. Yardley, op cit. 170.